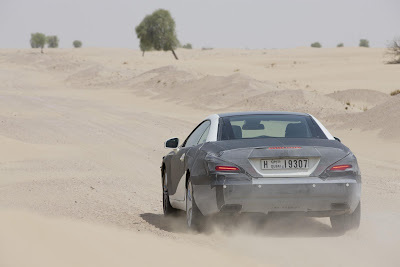 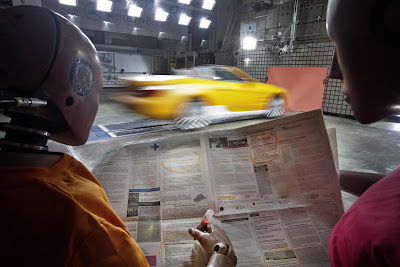 Mercedes has teased the new SL Roadster, ahead of its launch in mid-2012. 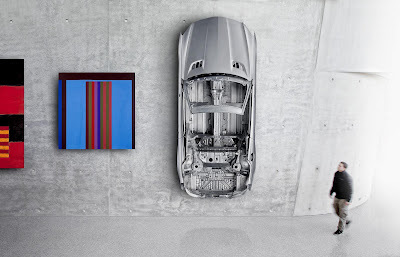 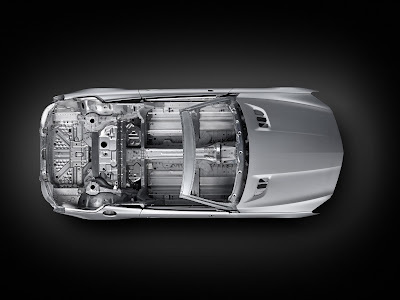 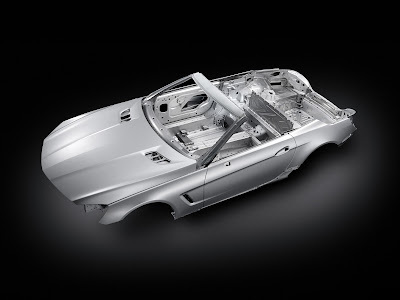 Like many new Mercedes' models, the 2013 SL Roadster will be lighter, thanks to an 89% aluminium bodyshell. 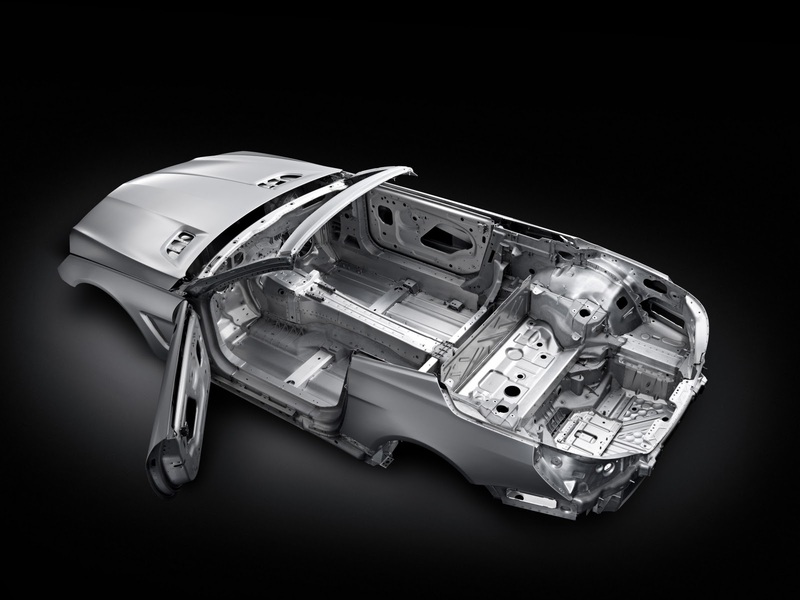 The lighter bodyshell, along with a host of other lighter materials, will mean the SL saves 140kg (308lbs) over its predecessor. 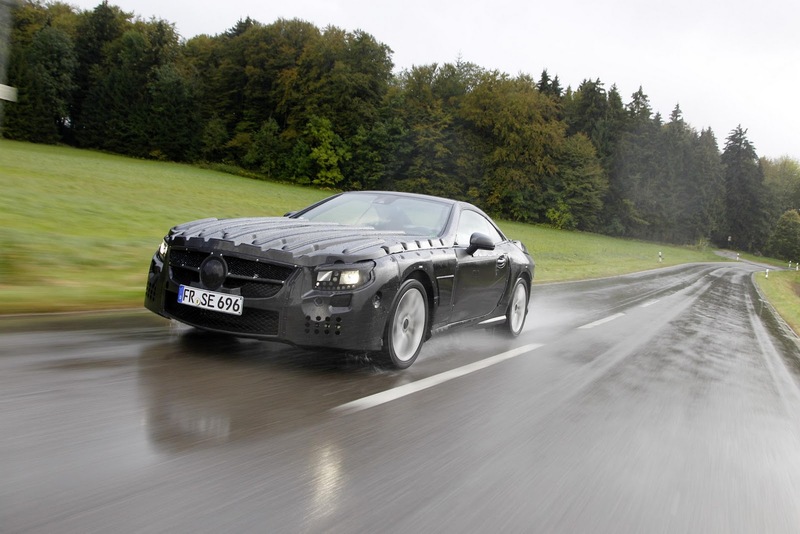 The newcomer will debut two new technologies; Magic Vision Control and FrontBass. 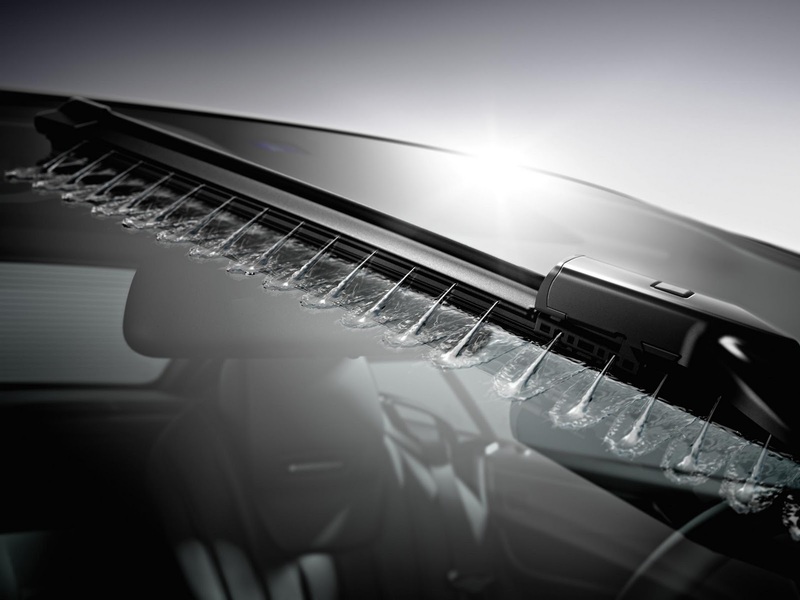 The Magic Vision Control technology replaces a conventional windscreen washing system because MVC uses water jets integrated into the windscreen wiper. The jets line both sides of the wiper, ensuring every stroke aids in cleaning. The system also includes a heating element to defrost snow and ice. 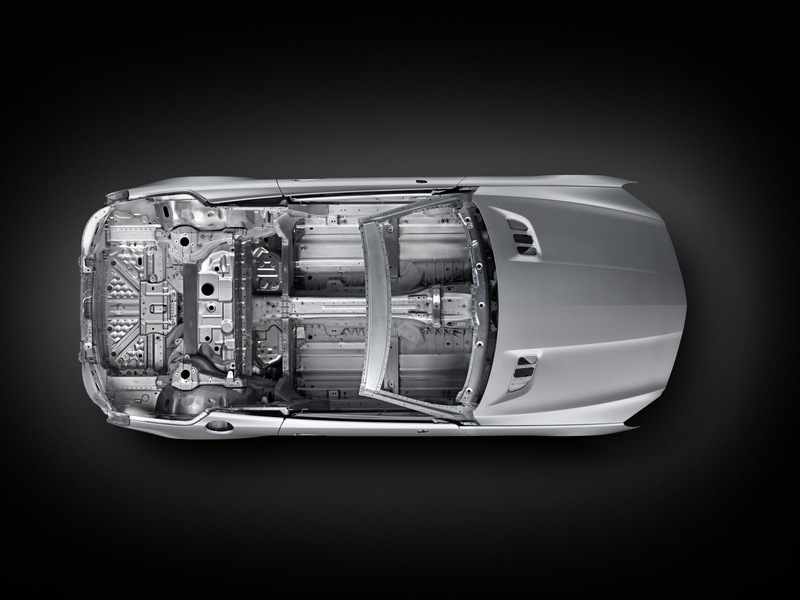 Mercedes will unveil the new SL Roadster before year's end, so head over to Motor Mania for the latest.